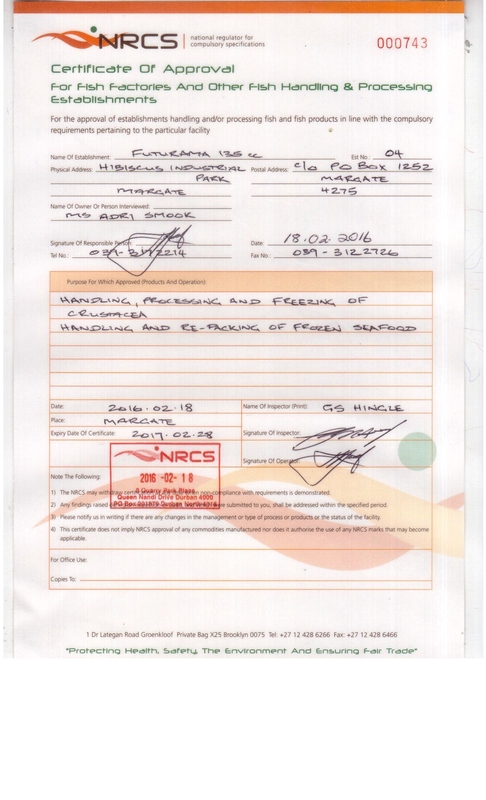 Futurama 135cc is a South African seafood processing plant established in 2002 in Margate, Kwa-Zulu-Natal, South Africa. 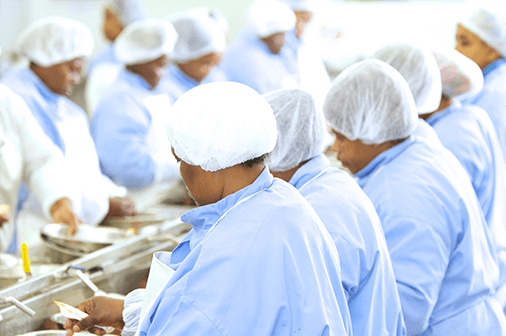 With 16 years of seafood processing experience, Futurama has grown from a modest prawn and calamari processing plant into one of the largest crustacean processing and frozen seafood packaging factories in South Africa, operating 24 hours a day. From Tightline Fisheries offices in Uvongo, KwaZulu-Natal, the company markets and distributes its diverse range of products to assorted markets around the world. 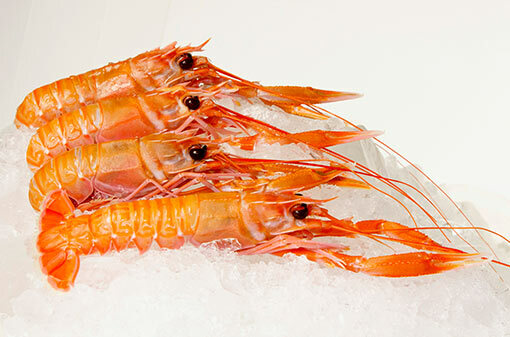 Our primary export products are wild scampi (Metanephrops Andamanicus/ Mozambicus) and pink prawn/shrimp (Halipoirades Triathrus) which are caught in the deep waters of Mozambique. Wild and organic, all product is frozen on board at sea. If a client requires value adding to a product this is then done to the client’s specifications on land at the processing plant, Futurama. Customers can be assured that all product processed complies with the applicable local and international regulations and standards, as Futurama is fully EU, F.D.A, SAFSIS, NRCS and H.A.C.C.P. accredited as well as being a level 2 B-BBEE Contributor. Futurama is dedicated to enhancing the economic participation of black women in the area with a 99% female staff complement. Processing and packaging is predominantly done by hand, allowing greater flexibility in meeting customer specifications and the ability to deliver premium product swiftly and efficiently. The processing plant is responsible for all import and export of seafood. Futurama exports to Switzerland, America, Canada and Ireland, to name a few.